Support Canada’s national Trail today and be part of a lasting legacy! 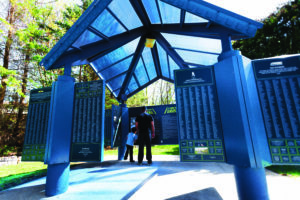 Your leadership gift of $1,000 or more will ensure that your name – or the name of someone who is special to you – will be recognized in one of six Canadian pavilions: Victoria, Vancouver, Toronto, Caledon, Halifax or Fredericton. Will you give again today to ensure future generations can continue to enjoy The Great Trail? Your gift TODAY will allow our children and grandchildren to enjoy Canada’s magnificent urban, rural and wilderness landscapes.